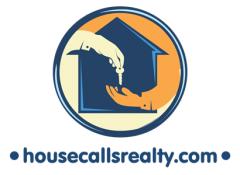 Click this link to see the current list of local Denver HUD Homes available. Once you find one that interest you please contact me for a tour. We are professional Denver HUD Brokers and below is a collection of frequently asked questions regarding the Good Neighbor Next Door program and Denver HUD Home purchasing. If you have any other questions, not listed here, feel free to call one of our qualified and approved Denver HUD Brokers or send an e-mail. Is the Good Neighbor Next Door a legitimate program? Yes, this is a United States Department of Housing and Urban Development program that has been created for the benefit of civil servants when purchasing a designated HUD home. If you want verification you can visit HUD’s website at www.hud.gov. The program has been created for teachers, firefighters, police officers, and Medic’s. What does it mean that these houses are 50% off? HUD has their homes appraised based on their current condition. The homes are discounted from this appraised price. HUD acquires properties from insured lenders who have foreclosed FHA loans. Are HUD homes bad homes? Just because it’s a Denver HUD home doesn’t mean it’s a bad home. The only reason it’s a HUD home is because it has gone through foreclosure. Do all HUD homes qualify for the Good Neighbor Next Door program? No. Only the homes that are designated by HUD are eligible. How often do Good Neighbor Next Door homes become available? Every week homes become available. There are certain areas like Denver, CO that have properties on a consistent basis. How long do these homes stay on the market? These homes are only listed for a five-day period, Friday-Tuesday. If they have not sold through the Good Neighbor Next Door program then they will go to the general HUD list at full list price. Do I have to live in the Good Neighbor Next Door home that I purchase for a certain length of time? To receive the full 50% discount you agree to live in the home for three years. What if I move out of the house before three years? You will still receive a discount, but it will be prorated according to how long you live in the house. The silent second mortgage is forgiven 1/36th. If I own the house, how can HUD enforce how long I own the home? HUD will require that you sign a silent second mortgage in the amount of the discount with no payments due unless you move or sell before the three period is over. If you sell your home before the three-year anniversary date, then the second mortgage will come due at closing. This second mortgage will automatically drop off after three years. My name has been on a deed in the past year, do I still qualify? No, neither your name nor your spouse’s name can have been listed on any real estate deed in the United States in the past year. Are there any other benefits associated with the Good Neighbor Next Door program? Yes. If you qualify for an FHA loan HUD will allow you to finance in all of your closing costs, commissions, a down payment of only $100, and selected homes will allow you to finance home repairs. HUD requires that you utilize a HUD registered real estate broker to submit an “intent to purchase. This broker will give you access to the designated HUD homes, assist you with locating a lender, submit an “intent to purchase” on your behalf before the deadline, and monitor inspections & the closing process. The Good Neighbor Next Door program is a very specific program in which only a few real estate brokers have experience. If not handled correctly you could easily miss out on a home that you want. Call us at 303-476-8454, we have sold many HUD Homes in Colorado and we are approved Denver HUD Brokers. Who pays the real estate broker? For the Good Neighbor Next Door program, HUD requires that the buyer pay the real estate commission. If you qualify for an FHA loan HUD will allow you to roll the commission into your mortgage. Can I bid higher or lower than the list price? No. In this program HUD will only allow you to submit “an intent to purchase” for full list price. This list price will be discounted by 50% at closing. Everyone who bids will have identical contracts. If there is more than one person bidding on a home, how does HUD determine who wins the house? The computer will randomly decide who wins, it’s like playing the lottery. Can you bid on more than one home? You can purchase only one home, but to increase your chances of winning, you can submit bids on more then one property. HUD limits people to only one Good Neighbor Next Door home in their lifetime. HUD requires that you give your Denver HUD broker a cashier’s check or money order for 1% of the home’s list price, but not less than $500.00 and no more than $2000.00. The certified funds (i.e. cashier’s check or money order) must be made payable to both HUD and the Buyer(s). (For example; Payable to: HUD or Jane Doe) On a $100,000 home your earnest money will be $1,000. This will be credited back to you at closing on your settlement statement. I thought the down payment was only $100, what’s this 1% of list price? The 1% earnest money is a good faith deposit that you intend to buy the home. The 1% deposit is credited back to you at closing on your settlement statement and the $100 down payment is taken out of your earnest money deposit. The deposit is 100% refunded if you are not selected as the winner of a home. If you are selected as the winner of a Good Neighbor Next Door home you can finance in closing cost up to 5% of the half price sales price, 5% for commission and selected repairs. A settlement statement is a break down of all of your credits and debits for buying the home. For an example your loan amount will be a credit to you and the sales price will be a debit to you. Your earnest money deposit will be a credit to you too. What if there are significant repairs required on a home and I don’t have the cash to fix it? You are able to get a specific type of FHA loan (203K) that will allow you to finance up to $35,000 worth of home repairs into your mortgage. Can I use a Good Neighbor Next Door homes as an investment? Yes, any purchase of real estate is an investment, only if you occupy the home and have not own any other real estate in the last year. After three years you can sell the home and all the equity is yours, no matter how much it has gone up. Since this is your principal residence you can claim a capital gains exemption and not be taxed on gains. Consult your CPA for details. What if my employment changes before the three years is up? That will not affect your discount. When you sign the contract you’re agreeing to the fact that it is your intention to remain employed in the same type of work for at least one more year. What do I do next? What is the Denver HUD Home bidding process? The deadline is very soon. Call me today at 303-476-8454. I will assist you in getting a letter of pre-qualification. Everyone is required to have a letter of pre-qualification or proof of funds before viewing Denver HUD homes and submitting an “intent to purchase.” You may use any lender that offers FHA financing. If you would like for me to help you get pre-qualified and start looking at Denver HUD homes please contact me a Denver HUD Broker at housecallsrealty@gmail.com. View the homes with me, your Good Neighbor Next Door specialist. Decide on one or more homes to submit your intent to purchase. Meet with me at my office to sign your “intent to purchase.” We have till Tuesday night before midnight to place and Wednesday at 1pm is when they release who wins!